From the moment Sydnee Larkin started her track career, she knew she wanted to be an Olympian. "Being in the Olympics has been a big dream for me since like I first started track in like third grade," Sydnee Larkin said. Willie Banks, the triple jump world record holder, is among the coaching staff at camp. When Larkin found out he'd be there, she wanted to attend immediately. "He was an Olympian, he knows what he's doing, he knows what he's talking about so it'd just be great to train with him." "One of the things about coaching is when athletes have success, cuz then you know you're doing right thing," Willie Banks said. "It's really good, he's teaching me stuff I never knew, so hopefully when I put it all together I'll jump further and be a better athlete." His coaching starts with the basics, including proper technique. "This is all science out here, if you're running with proper technique, the length of your step is not going to alter, so if you have a mark 8 strides out, that's never gonna change so if you hit that mark you're gonna hit the board every single time." Which is a lesson that Sydnee took from the camp. "Definitely like learning my steps, like learning that I need to be full speed at 54 feet so know that I know that, it will be really helpful for me." Training side by side with Banks has inspired Sydney to keep working towards her goal, of one day, being an Olympian. "Pushes me and lets me know that I can just do it and be better and that I can do anything like all dreams come true if you just push towards them." In what (I guess) were the good old days, Willie Banks, no sad-case Willy Loman he, would have been a carnival barker, a Professor Harold Hill. He is our P.T. Barnum, our greatest showman, track and field’s ultimate self-promoter. And, unlike Dwight Stones, who did it deliberately with his mouth and artfulness, Willie did it by accident, with humility. Then came the acclaim. I first met Banks in the early 1970s, when he won the triple jump at back-to-back state meets for Oceanside High in ’73 and ’74. He was delightful then and remains so now. There was something more than his obvious talent, which eventually would lead him to a 1985 world record (58-11½) in the event that would stand for more than 10 years, three lifetimes in most T&F events. After he jumped at Oceanside, a jumpers’ watering hole, he would put his fingertips to both sides of his head and make a buzzing sound. It was his way of focusing. But it was later, after UCLA and he enrolled in world class, that, by accidental good fortune, he developed his brand. The Clap. But I’ll let Willie, who will be keynote speaker at Qualcomm Stadium on July 15 to kick off the California State Games, which will feature 12,000 athletes performing in a variety of sports around the county, tell it. “It started in ’81, in Stockholm, when one of the organizers told me he didn’t find the triple jump exciting, but I went anyway,” he says. “When I got to the head of the runway, some drunk guys in the stands started to clap, and it went on and on. I started to clap, and more and more people joined in, and I set a European record. “I thought it was my 15 minutes of fame. But I went to Lausanne two days later to long jump, which was not my thing, and people started clapping, I started clapping and got fired up. I jumped 26-8, the best jump ever in Switzerland. And of course, it went on to become track’s “wave,” only exciting, not nauseating. Willie, now 60 and residing in Carlsbad, works with kids everywhere. And he preaches being clean in a sport that has been found guilty of cheating in so many events. Like me, Banks often has trouble watching the great feats without wondering if an athlete is juiced. It’s human nature. The thing about Banks is that he never won an Olympic gold medal or world championship (silver medal, 1983, Helsinki Worlds). He never became mayor of Oceanside, which he always said was one of his goals, either, nor did he pass the California bar exam after, “I think, four ties. I don’t think I was ready.” He’s OK with it all. “You have to have good character, even if you don’t win a gold medal,” he says. “I’ve always had a passion for young people. What kind of example would I set if I did it taking drugs? It’s best to compete fairly and squarely, and that’s why the California Games are so important to me. “I became an athlete instead,” Banks says. “But that was one of my goals. I wanted to be president of the United States, too. But politics got so nasty I decided to stay with track. Now, I do World Record Camps, teaching basic skills to kids and I started a foundation to help kids who can’t afford the camps. And there’s the Willie Banks Invitational at Oceanside High. And as for the athletes who are begging out of the Rio Olympics, Banks won’t be joining them. He has done both. Very well. He’d make a great mayor. (Casper, Wyo.) 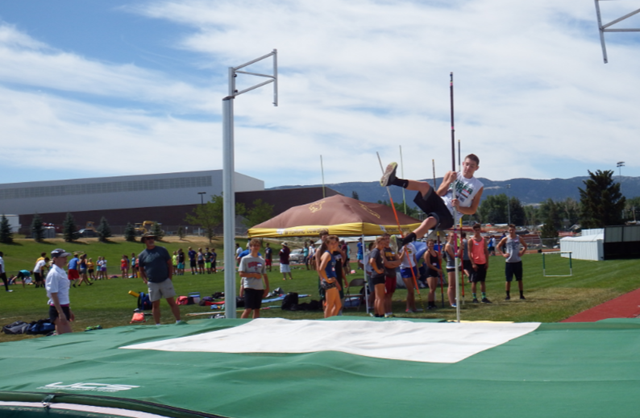 - For the third straight year, Casper has been one of the stops for the World Record track and field camps. With 165 registered jumpers, running and throwers, the line up of World Class Athletes have their hands full. The camp does not only work on local athletes, but athletes from all around the West. 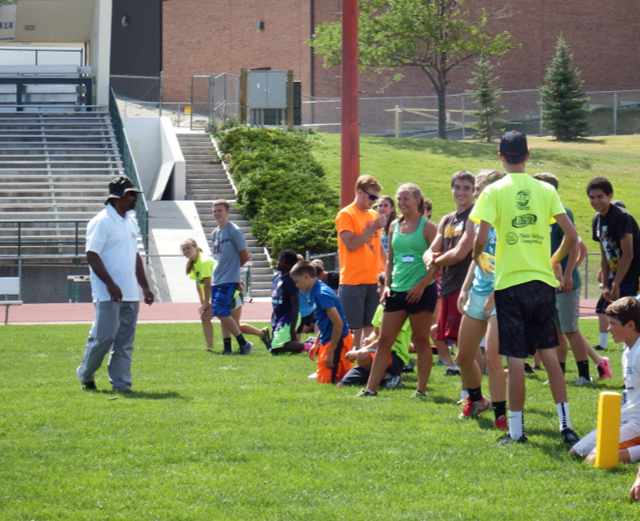 Celebrated as one who once held the World Record in the triple jump, Willie Banks began the two day camp working with 5th -12th graders on the basics. "I have been training and doing this for forty years, the most important thing to me that I try to pass on to these young athletes, is to learn the basics and build on them. It is so great to have the Wyoming Coaches Association along with coaches here to help these students. I have witnessed many injuries and it is important to teach the proper skills to begin with," said Banks at KWHS. Seven Olympians and athletes will be working with young track stars today and tomorrow at KWHS. 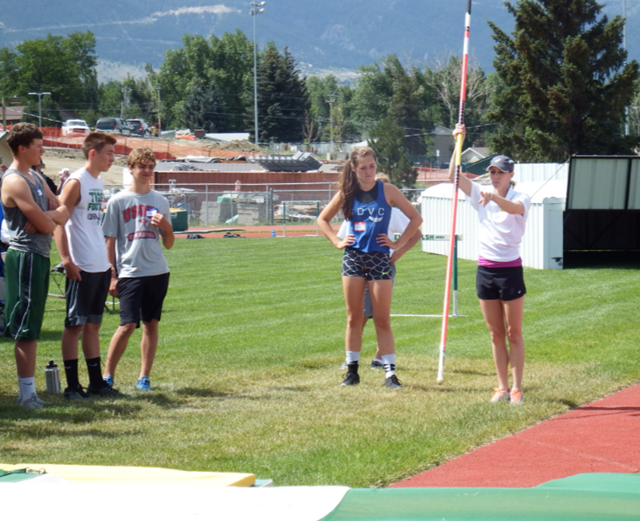 Pole Vaulter, Becky Holliday, who competed in the 2012 Olympics, was out working with students to hone their pole vaulting skills. The camp is held nationwide, with the athletes coaching and inspiring the youngsters. The camp has been held in Japan, California and many other locations, but Casper has grown to be one of the biggest camps. Working with the distance runners, Jacqueline Hanson, was the second woman to win the Boston Marathon! Hurtles Olympian, Toni Campbell, worked with kids in sprinting and hurtles, while NCAA Indoor Track high jumper Hollis Conway assisted with jumpers (High jump record of 7ft. 10 inches!). Check out some of the action below, the camp continues through Thursday at KWHS!